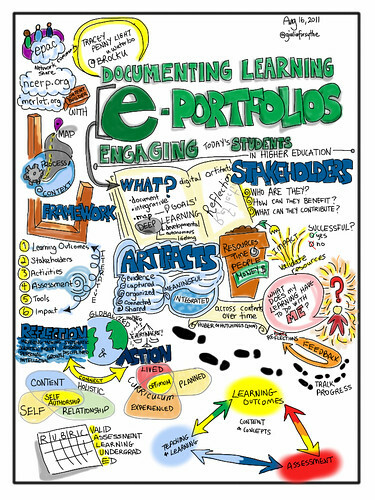 Giulia Forsythe’s visual notes on Tracy Penny Light’s session on Documenting Student Learning with Electronic Portfolios. I started blogging with the TALONS class (since expanded to two) a little more than four years ago. In that time I’ve learned a great deal about the capacity for such digital publishing tools to help realize aspects of the larger purpose of schooling; part of this has come through developing my own informal network and community of practice constantly interrogating the same question, and lately has included both a graduate community of SFU diploma students, and my own masters cohort. Including my own classrooms, every learning space I move through is suffused with discussion and debate about the purpose of school. The only way back to objective reality is the following one: we can take these several individual worlds, mix them thoroughly together, scoop up a drop of that mixture, and call it objective reality. For Nabokov’s objectivity to be realized though is to realize the paradox of Einstein’s relativity (one degree of separation between Nabokov & Einstein: a productive Monday morning! ): the more we know about the object’s speed, the less accurately we know its location, and visa versa. Any definition we seek – for Truth in the religious sense, to the tenor of our elected officials and the implementation of our education systems – must be constantly reevaluated, re-calibrated and ready at every moment to be torn down to make way for the New. As broad terms, Pedagogy and Technology might be expected culprits in a teacher’s blog these days (and I am more than a little glad to see Pedagogy edging to the win here… phew); but I think the focus on Learning Networks and Classroom Communities is more revealing about the larger purpose of schooling I’ve been uncovering in posts on grammar, music, and outdoor education these last four years. 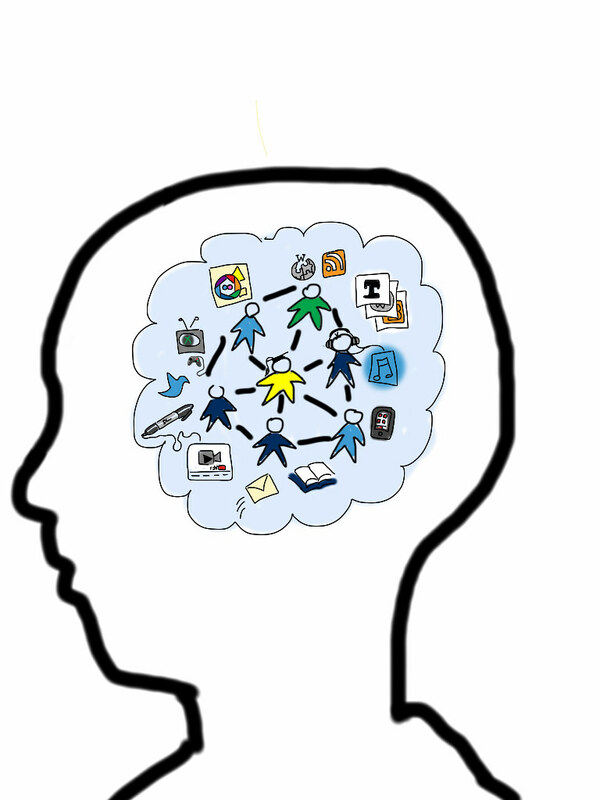 the skills attending to student “ownership” of learning are essential elements in the ongoing creation and maintenance of a democratic society. “Writing, I think is both a way to think aloud and preserve ideas I’ve come to a conclusion about in my head or random observations; the blog is just an archive in that sense. I also have a draft saved on my email account where I journal on-and-off, as well as a word document on my desktop, but I think the stuff on my blog is more developed in terms of exploring what I have to say. Sometimes when I post something, I secretly hope that other people will read it and offer their opinions, other times I forget about it as soon as I click ‘publish.’ Blogging provides a lot of revelation and I’m still guessing at its destination, but I do know that it’s going somewhere good. Revelation without destination strikes me as a noble purpose for a school system concerned with creating lifelong learners that shifts our focus from product to process. But even while this has been a foundational piece of my beliefs about education since I began teaching, I have continued to refine the role that blogs and the development of student learning networks and communities play in this process. More and more, both as a reflective practitioner and someone trying to create learning spaces and opportunities for others, I think this revolves around the praxis outlined by Freire – and explored into more than one recent blog post here – of a cycle of reflection and action. Blogging – and tweeting, and taking pictures, and journals, and many other acts of preservation – creates an object of those experiences that can be viewed in reflection, and can be manifest in future opportunities as wisdom.